Hit beyond the cage! A powerful combination of analytics and entertainment that has never before been available to indoor facilities. 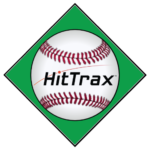 With HitTrax, players are further engaged, in-depth performance reports are generated, and facilities can organize hitting leagues, tournaments & home run derbys, and bring the excitement of the outdoor game into the facility. Features-Real-Time Statistics with Visual Feedback. 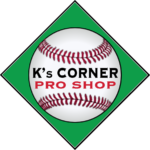 In-Depth Reporting Module for Hitters & Pitchers. 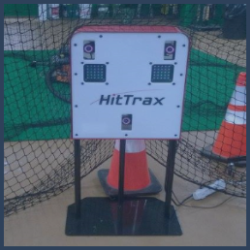 Remote Access to Statics via HitTrax Stats Center. Player rankings (Local & National). 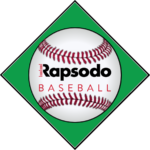 Adaptable to all Skill Levels: Little League to Professional. Capabilities- Baseball and Softball, operates off of live pitching, machines, soft toss, and batting tee. Portable with small footprint. Set up in minutes, 110 MPH+ measurements and Accuracy to +/- 1 MPH.